Sewing is a gift hands down. I don’t have too many words for this shop, because I really am speechless when I look at the products Small Town Thread creates. 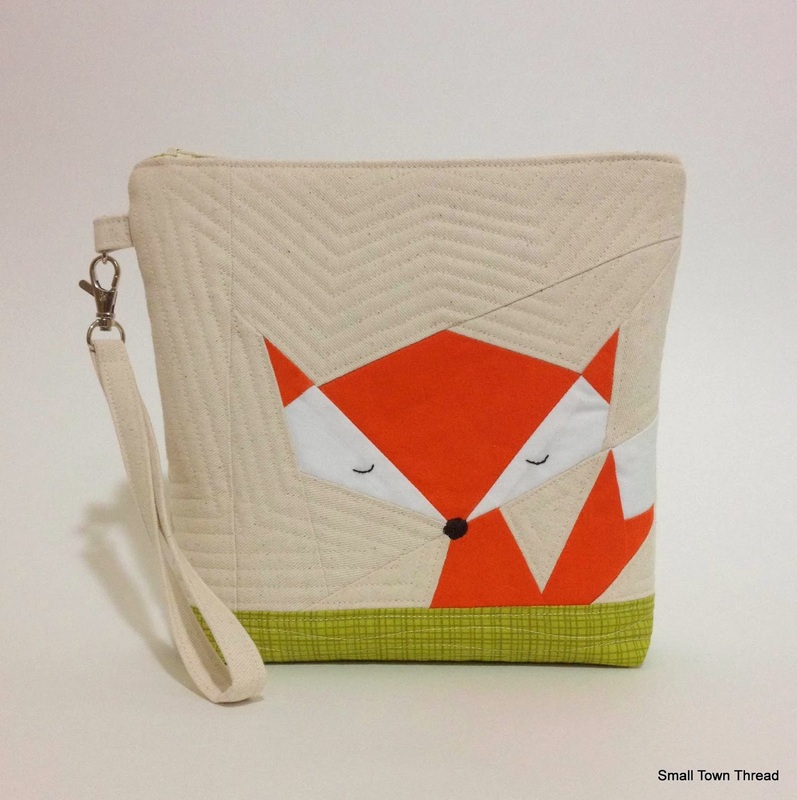 Not only does this owner create astounding quilts she has an insanely cute Foxy Zip Pouch that I’m pretty sure you’re going to want to buy immediately! I hope you enjoy seeing her passion and gift during this feature. It’s an honor to show this off! 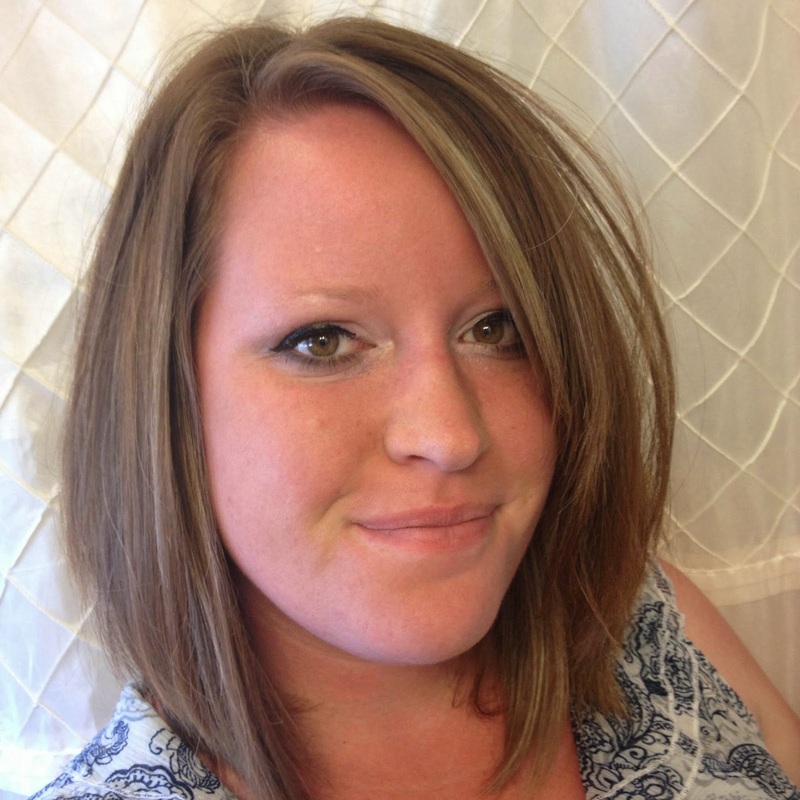 My name is Sandra Smith, and I am currently a stay at home mom of two little girls, age 2 and 4. I have a background in graphic design, and while I loved it, it wasn’t my calling. I became a stay at home mom shortly before my youngest was born, and it’s been an amazing experience. I began really sewing in 2010, starting with crib bedding, and then I moved on to clothing and dresses for my daughters. I love making clothes for them and still do, but they can only wear so much! 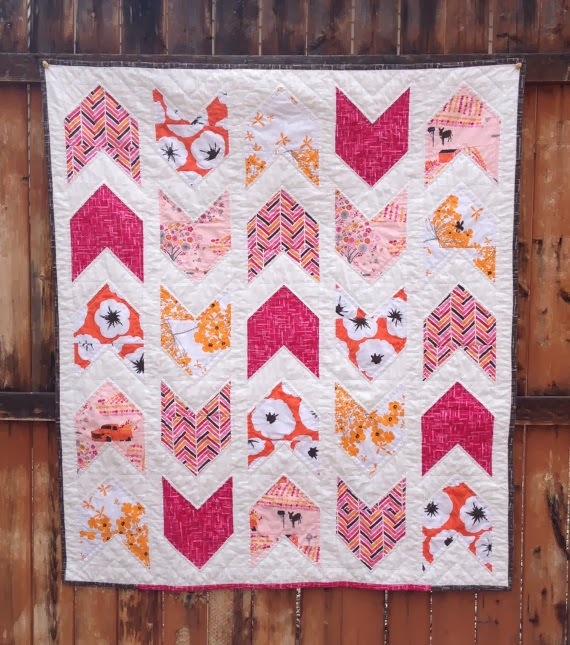 I began my first quilt in November of 2012 and it was a Christmas gift for my oldest daughter. 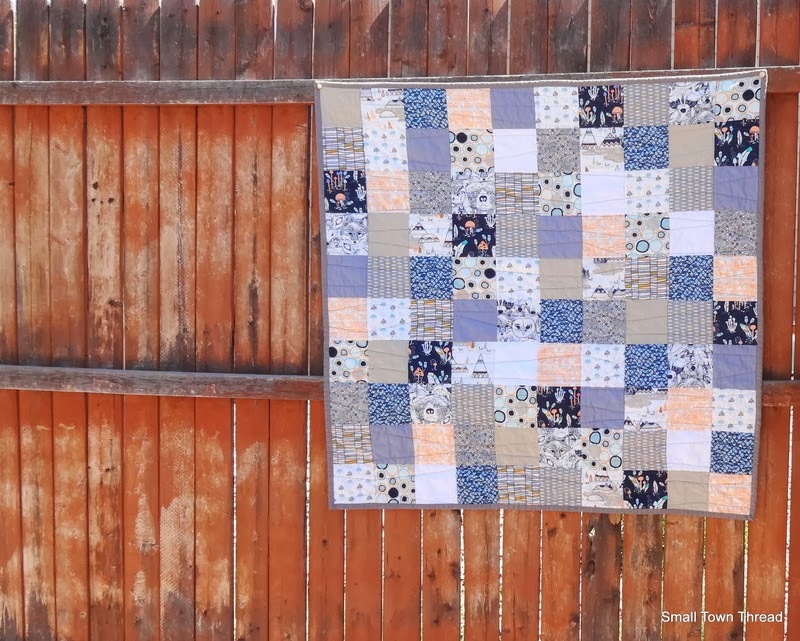 She uses it daily, and I’ve been hooked on quilting since. 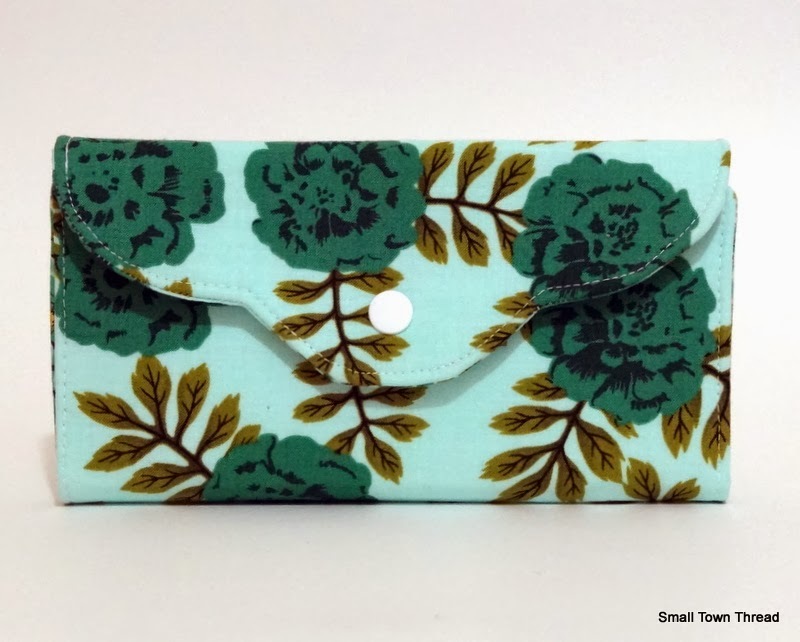 I began sewing other things like the Foxy Zip Pouch and the Have It All Wallet this summer and love the instant gratification of these fairly quick projects. My heart still belongs to quilting though. I began my shop Small Town Thread on Etsy in August of this year, and while it’s been slow going trying to stock up my shop, I’ve enjoyed the process a lot. I’ve learned a lot along the way, and am really enjoying sending my products out into the world. I’ve actually had some success using Instagram (@Sandra_Smith) for sales as well. My favorite materials include high quality and designer quilting cottons, natural cotton ticking and duck canvas. I buy zippers in bundles, and love searching for the perfect thread to match. I currently have a few wallets, zip pouches, and baby quilts in my shop. 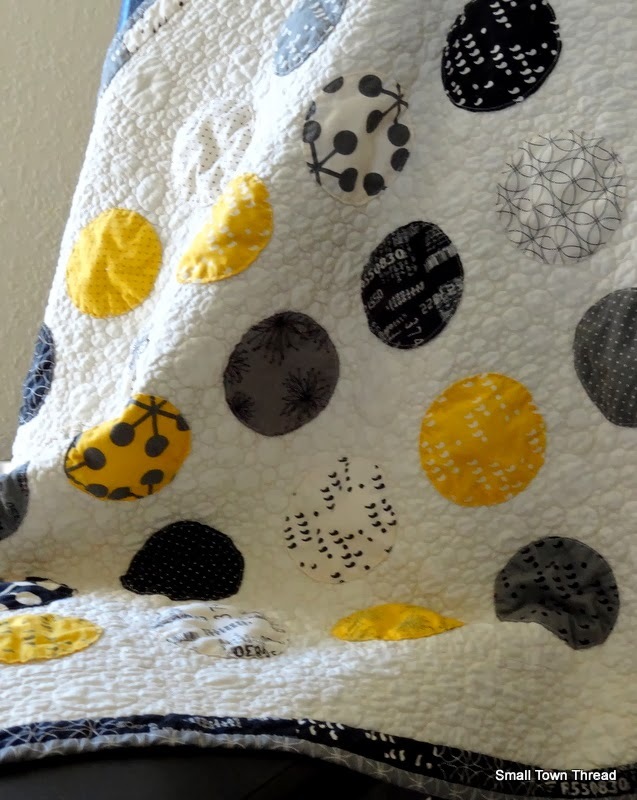 My goal for the upcoming year is to stock up on some throw size quilts, as well as more unique, modern and handmade gifts. I do take custom orders but please contact me first. Turnaround time is 2-3 weeks, and I will stop taking all orders by December 10th to ensure I have time to get things mailed for the holidays. If you’re browsing my Etsy shop, please use code BUYNOW for an additional 10% off any order over $30. Thank you so much for taking time to read my bio, and learn more about me and my shop. I look forward to working with you! I blog at Smalltownthread.wordpress.com, and there you’ll find a lot of info about current and previous works. My shop is at etsy.com/shop/smalltownthread.